enhancing health, preventing disease, limiting illness, and restoring health. As a mama, that can be somewhat tricky to manage. most likely one of the kids would spill something on me. are some examples of self-care? will get into that more as the days and weeks move on. love to know: What one thing do you try to do just for you every day? center me, and prepares me for a day with 3 little ones! I do need this. It feels like I haven't actually taken cared of myself the past few months. This is great. I think taking care of yourself is so important. These are great ideas. I really need to be better about eating healthier and getting more sleep. I would love to find time to write before my kids are awake, but it seems I actually write better after they go to bed at night. Great ideas. I fall short in a lot of those but find that quality time with my family rejuvenates me. I have to get ready. I just need those 20-30 mins to put myself together in the morning. If I don't, I feel gross and that just makes me crabby all day. My daughter is great and totally gives me the time I need. 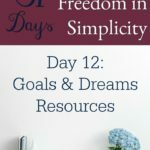 Self care is so important, and you have some great ideas on your list. I especially love being in scripture and getting enough sleep. But cutting back on caffeine would be damaging to my health!! I tend to forget self-care too often then get overwhelmed and crash an burn. This is a practice I KNOW is important, but I sadly don't follow through for myself most of the time. I have added meditation to my life this year in the name of self-care. I rally helps center me. I make sure I get enough sleep, but sometimes, my online work won't allow me. I also start my day with a mug of coffee. I so need to focus more on self care! I stretch myself way too thin and then can't figure out why I am so worn down! I would like to be better at thinking of myself for once so that is something I need to practice. I need some me time. I'm still learning self care, it's such a challenge for me! I'm striving to break, or at least cut down, the caffeine and up the water right now! Once the kids are finally in bed and asleep I light candles and write or read or watch a movie or whatever I feel like.The most important thing for me though is probably reminding myself to stop and think before volunteering myself for something, it doesn't come easy but I am always glad when I do it saves a lot of extra stress. 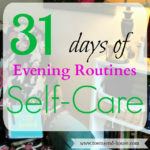 Self care, for me, is rest (not a mom, obviously)., With my health, I have to make sure I do a few self care things, and daily. So rest is just one of the key components. I am looking forward to this series! 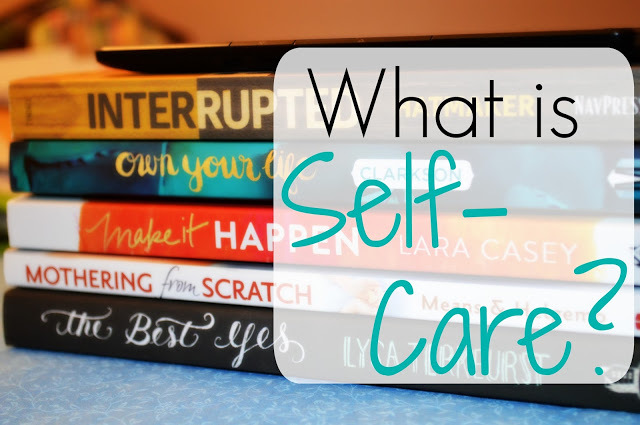 I am horrible with self-care, mainly because I feel that I do quite a few things "for me" but there isn't always enough of the *right* things going on – which is the same as doing nothing! I'm excited to read this series! Self care for me is getting up before everyone as well. I need to take that time to prepare for the day and have some coffee. That's a treat – to have a little peace before the day begins. Looking forward to reading more – I love your definition by the way! Spot on!